A River Could be a Tree is an odyssey of love and faith, told in a voice mixed with pathos and humor. 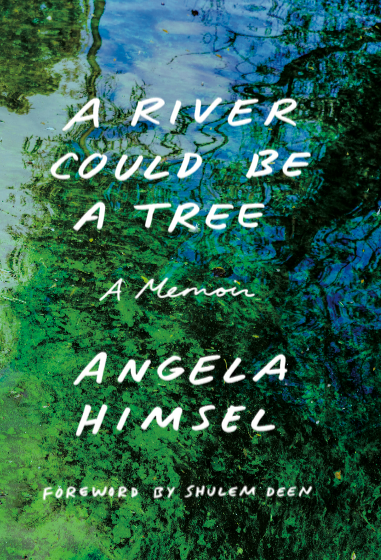 Angela Himsel shows us how intricate, layered, and painful are the bounds of family, and finally how it is possible to honor both the ties we are born with and the ones we choose to create on our own. "Told with warmth, humor, and a multitude of religious and philosophical insights, A River Could Be A Tree traces a seemingly impossible journey of faith, family and friendship." Angela Himsel’s writing has appeared in The New York Times, The Jewish Week, Forward, Lilith and elsewhere. She received an American Jewish Press Association Award for her column “Angetevka” on Zeek.net. View more of Angela's written work HERE. Spanning over a century, these family photos provide a visual look at the world I came from and the world I live in today. © Angela Himsel. All rights reserved. 2018.